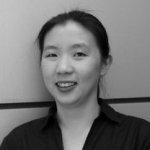 Yi Yi Lee is a nutritionist passionate about improving the nutritional status and health of the Malaysian community though promotion of physical activity, exercise, and healthy eating practices. Her doctoral thesis, which was completed at the School of Health Sciences, Universiti Sains Malaysia, focused on the neighbourhood environment walkability in urban areas of Malaysia and how it is associated with accelerometer measured physical activity levels, nutritional status, and health of Malaysian adults. While her latest stint include working alongside the International Physical Activity and the Environment Network (IPEN) team in UC San Diego on projects related to neighbourhood environment among adults and adolescents in Malaysia, her past research experiences also include local and international research projects related to physical activity and lifestyle interventions for weight loss, introduction of physical activity objective measurements using accelerometers in Indonesia as well as malnutrition among school children. Yi Yi is also actively involved in the promotional activities of M.Suzuki’s Pillow Dumbbell Exercise (mydumbbell™) in Malaysia as a certified trainer. She joined the UNU-IIGH in June 2017 as a Research Officer, where she works on urban food systems in relation to health in Malaysian cities through systems thinking and place-based approaches.